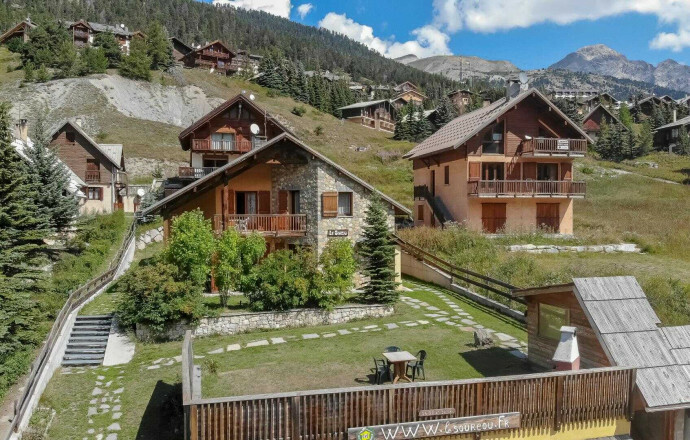 Chalet with 2 gîtes and the owner's lodging. 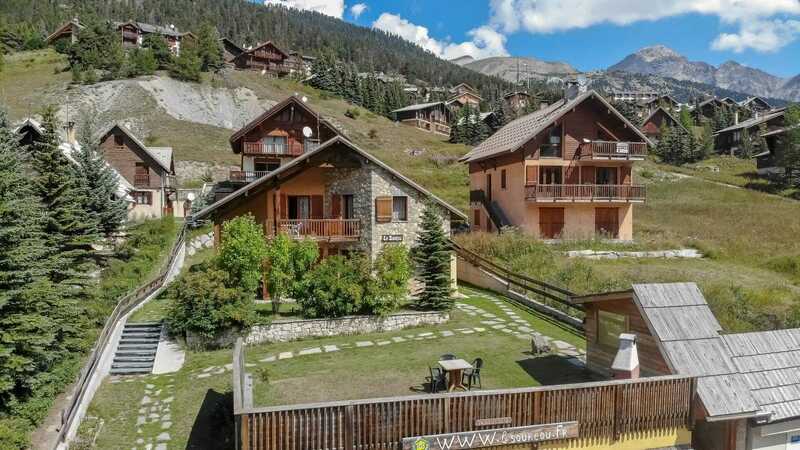 Private entrance and private grounds, 100 m from a ski lift. 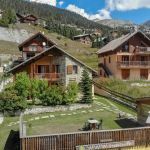 First gîte, entrance on ground floor, living-room with kitchenette (sleeping for 2 available), terrace, 1 bedroom (1 double bed), bathroom, toilet, dishwasher, washing machine, TV, basic heating + electric heating. Storage room. Garage and sheet rental optional.